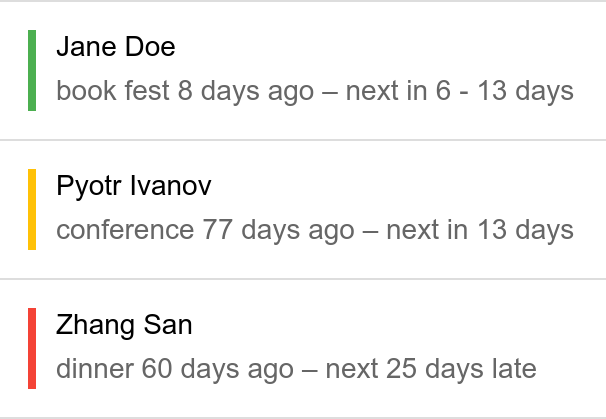 Add your local or long-distance friends, and keep track of when you last interacted. If you're out of touch with someone, Tinyblu will send you a reminder. Add professional contacts and stay on their radar with regular interactions. 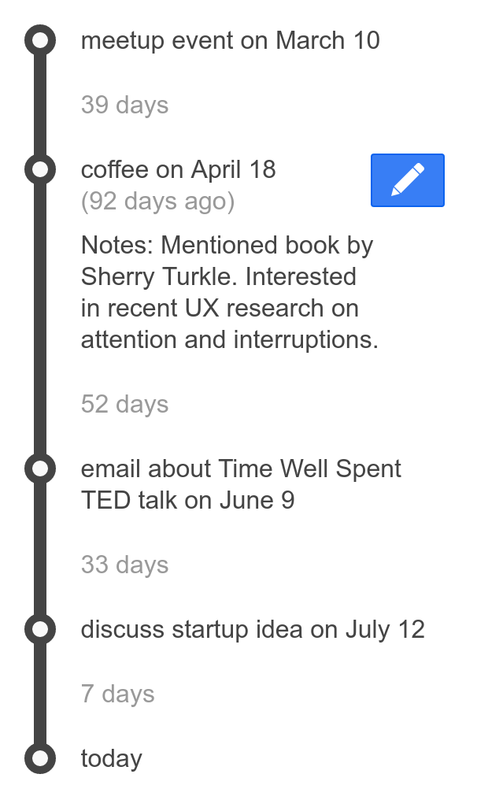 Tinyblu makes it easy to remember what you talked about last time. Scientists know that spending time with people you like can boost your happiness, and that nurturing weak ties can boost your career. What are you waiting for?